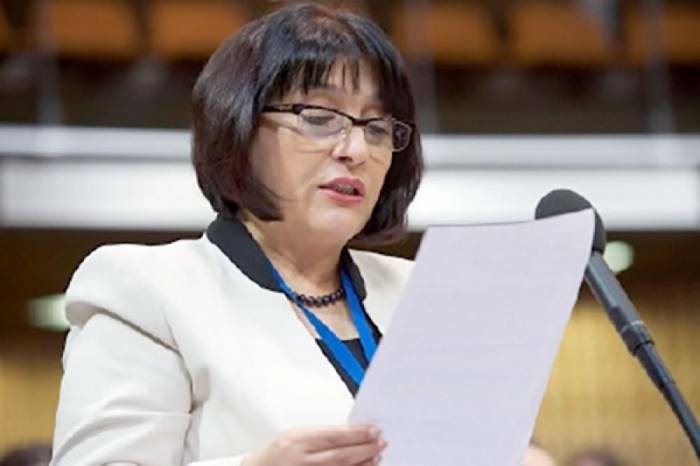 Hate speech is aimed at violating the negotiation process to resolve the Armenian-Azerbaijani Nagorno-Karabakh conflict, Azerbaijani MP Sahiba Gafarova said at the spring session of the Parliamentary Assembly of the Council of Europe (PACE) in France, AzVision.az reports. "In this very Assembly, we have again listen to the hate speech by some of representatives of Armenian delegation. This is not the first time. We have repeatedly witnessed this kind of speech here during the previous years. Representatives of occupant country Armenia falsely accuse the leadership of Azerbaijan when the talk was going about the implementation of resolutions of the UN and many other international organizations demanding the immediate withdrawal of Armenian troops from the occupied territories of Azerbaijan," she said. The Azerbaijani MP noted that representatives of Armenia, while falsely accusing Azerbaijani leadership in promoting racial hatred and racism forget about some statements of former leaders of Armenia. "I can remind one speech of ex-president of Armenia Robert Kocharyan, who, by the way is in prison - he was because of his crimes against Armenian people. In this very Assembly, Kocharyan said that Azerbaijanis and Armenians are ethnically incompatible to live together. This is a vivid example of hate speech. Another example is the interview of Armenia’s ex-president Sargsyan, “Before Khojaly, the Azerbaijani thought that they could mess around with us. They thought that the Armenians were people, who could not raise their hand against the civilian population. So we managed to break that stereotype.” It happened in Khojaly. It was planned by Sargsyan and his military junta and they did it," Gafarova added. She expressed hope that the current Armenian leadership will put an end to such hateful statements and start taking necessary actions to prepare the Armenian population for peace with neighboring Azerbaijan. "I believe that hate speech doesn’t help the solving of Armenia-Azerbaijan Nagorno-Karabakh conflict, but instead it is aimed at violating the negotiations on the settlement of the conflict," she said.